This recipe showcases the use of your grill, so heat up that grill and get to work! 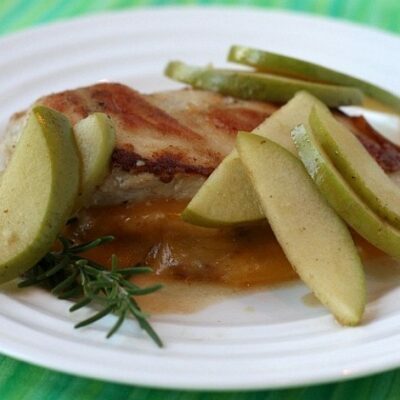 You’ll be grilling chicken cutlets, bell peppers and DOLE canned pineapple. A very simple homemade teriyaki glaze will bring it all together with a generous helping of steamed rice. It turns out that your grill is a wonderful, big-boy gadget to have around. There is no better way to make chicken than throwing it on the grill- it tastes best that way! When you grill bell peppers, they blacken themselves here and there, and become tender and sweet. And pineapple on the grill is just about the best idea ever. When you use DOLE canned pineapple, your prep time is zero– just pop open the can to find perfectly sliced, sweet pineapple. The heat of the grill hits the sweetness of the pineapple and turns it into a caramelized piece of deliciousness. You don’t even have to do anything to it… just toss DOLE pineapple slices on the grill and let that fire do its magic. Please make the teriyaki glaze recipe that is included in the recipe below. It will take you all of 10 minutes to make, and you get to utilize all of the yummy juice in your can of pineapple in the glaze. That’s a big bonus about using DOLE canned pineapple- the pineapple is swimming in plenty of 100% pineapple juice! It helps the glaze turn out to be sweet and syrupy– and it’s so much better than an already prepared glaze that you’d buy at the store. All of your grilled ingredients are chopped and added to bowls of rice. Plenty of that grilled pineapple is added in too (you’ll thank me later… because the grilled pineapple adds a lovely amount of sweetness to the recipe and makes it more of a ROCKSTAR meal). The teriyaki glaze is generously drizzled on top, and these rice bowls are ready to devour! Check out www.DoleSunshine.com for more recipes using DOLE canned pineapple. Prepare the glaze: In a medium saucepan, combine the soy sauce, pineapple juice + water (enough to make 1 cup), brown sugar, ginger and garlic powder. Stir and bring to a simmer. Combine the cornstarch and cold water in a separate bowl. Whisk the cornstarch mixture into the simmering soy sauce mixture. Continue to simmer and stir until thickened. Remove from heat, cover and set aside. Grill: Preheat your grill to medium, and spray with grill spray. Grill chicken, pineapple slices and bell peppers until cooked through and tender with grill marks on both sides. Remove from the grill and chop. Assemble the rice bowls: Divide the cooked rice between four bowls. 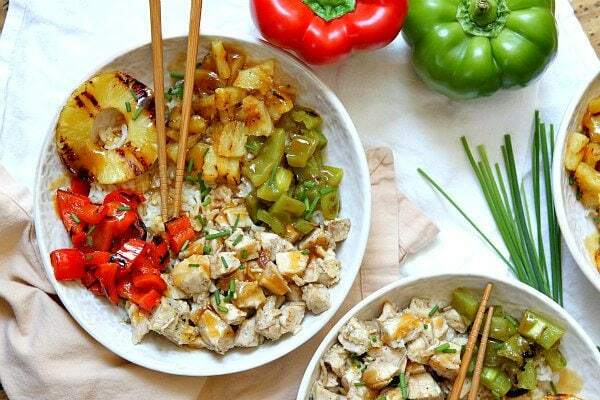 Top each with chicken, pineapple and bell peppers. Drizzle with teriyaki glaze, and garnish with chives or green onions. Serve immediately. 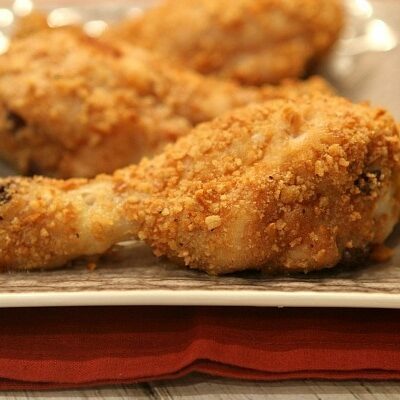 *If you are serving this recipe as GLUTEN-FREE, just be sure to use a brand of soy sauce that is known to be GF. Disclosure: This post has been written in partnership with DOLE to spotlight a recipe with DOLE canned pineapple. This is a product that I know and use in my kitchen. All opinions shared are my own. I wanna make these bowls all summer long! This looks incredible! I can’t wait to sever this for dinner! 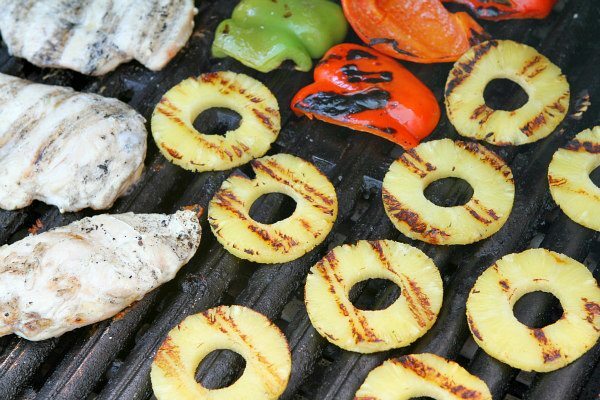 There is seriously nothing better than grilled pineapple – we’ve been obsessed with it all summer long. 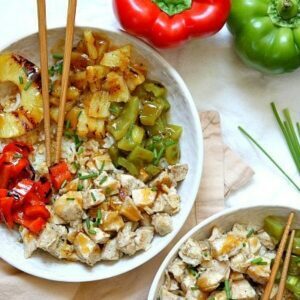 I can’t wait to try these teriyaki bowls! First I want a bowl of the glaze by itself. And second I can’t believe I’ve never tried to grill pineapple! Teriyaki goes so awesomely with pineapple! There are so many great Hawaiian recipes out there that use both! Oh wow – these look amazing Lori! I love pineapple and chicken anything! These are so fun! Can’t wait to try them. I’ve been craving food just like this all summer! This sounds delicious! This looks like a perfect summer dinner! That teriyaki glaze sounds amazing! I have been making a lot of bowls at home lately, and am loving the sweet and savory going on here! 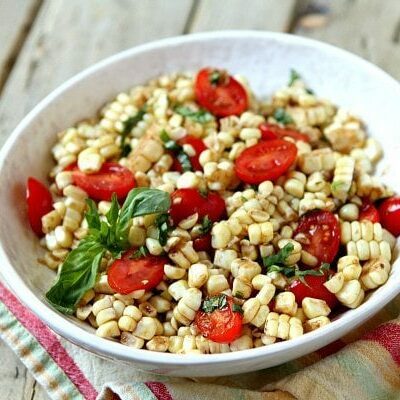 Lori, super easy and so fresh with summer veggies. We love pineapple, too. Rice bowls are so delicious to serve for company, too! We just ran out of propane, and it’s been KILLING me. 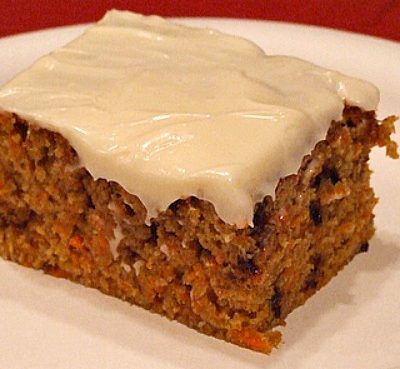 The sweet and savory flavors you have rocking out here sound completely addictive. Gorgeous grill marks on the pineapple too! Yum, I would love to have these for dinner. I will add them to my list to make for dinner soon. These look absolutely delicious! I love that they’re grilled! I can’t stop staring at these bowls… they’re so beautiful!! 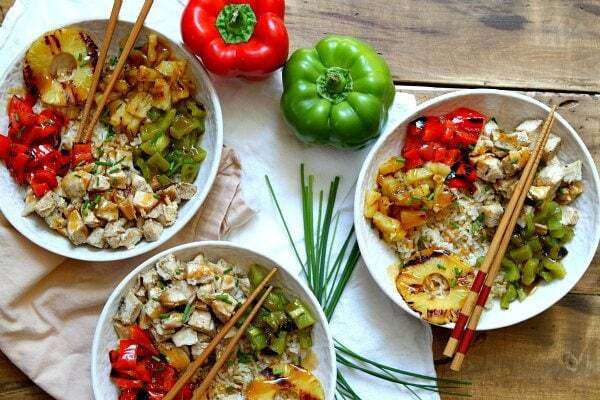 These rice bowls look incredible, Lori! 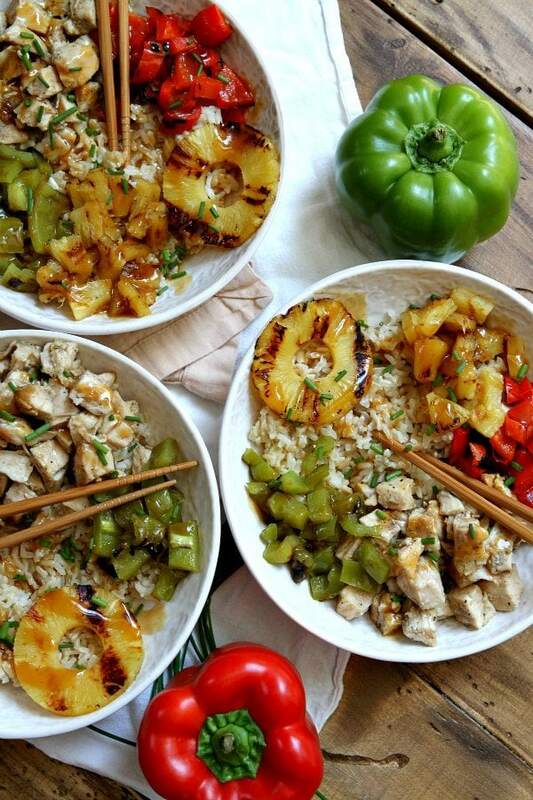 The grilled chicken teriyaki sounds perfect with the sweet pineapple!